Limited-edition goodies surface for UK pre-orders of Borderlands 2 at independent shops. 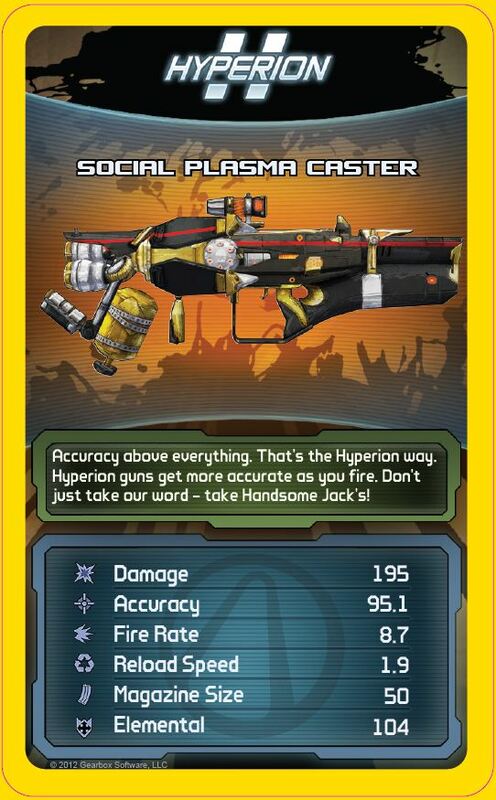 Borderlands publisher 2K Games has unveiled an extra treat aimed at encouraging gamers to buy the upcoming Borderlands 2 from locally-owned stores. 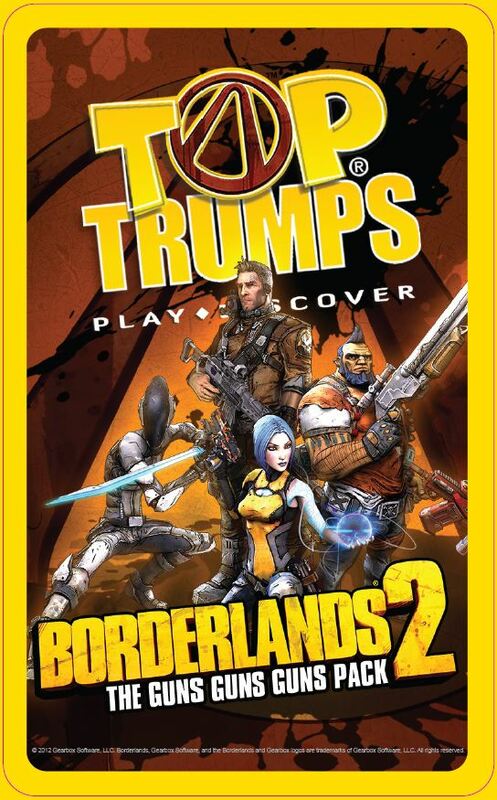 UK customers who pre-order the game from selected independent retailers will receive one of 5,000 exclusive Top Trumps decks based on Borderlands 2. The "Guns Guns Guns" deck focuses on, predictably, the game's variety of guns (of which there will be many). 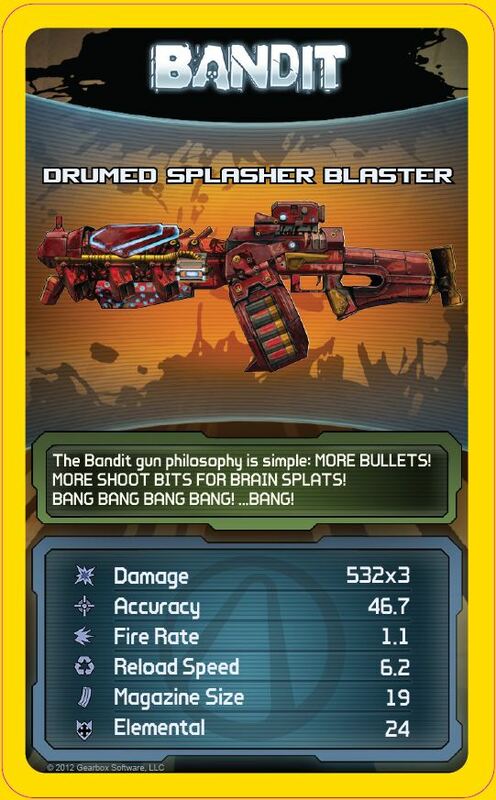 The pack follows the same style as other Top Trumps cards, with each of the pack's 30 cards adorned with various weapon statistics to compare and use for battle. 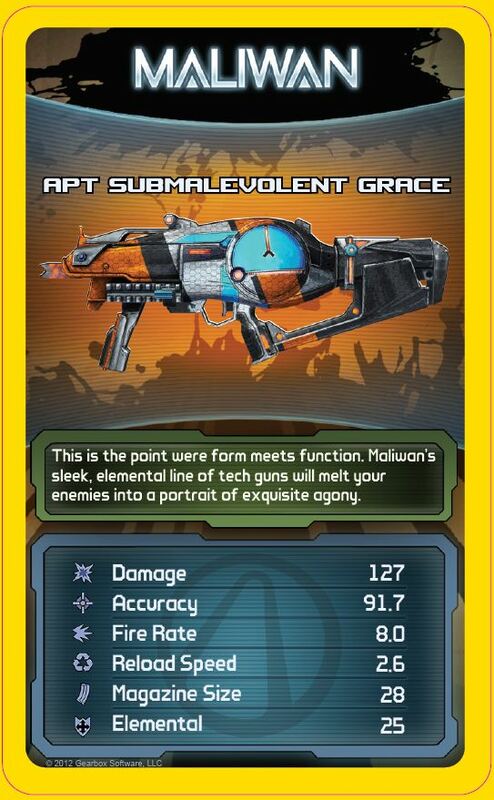 The cards also contain snippets of information about the various manufacturers, as well as a game-style piece of artwork depicting each gun. 2K's UK PR manager, Ben Lawrence, has stated that the Top Trumps deck will be strictly limited-edition. "Only 5000 packs of cards will be distributed across the country and will be available on a first-come-first-serve basis," he said. "Once they're gone, they're gone so I'd encourage people to check with their local indie store to see if they're stocking the cards." At a time when high-street stores are especially feeling the pinch, it's nice to see a high-profile release being used to support independent businesses so directly. There's been no word yet on whether retailers in regions outside the UK will have similar promotions, though. Borderlands 2 will hit stores, independent and otherwise, on September 18 in North America and September 21 in Europe.